The National Survey of American Life investigated the relationship of complexion crisis and discriminations due to skin problems and discovered very depressive and demoralizing symptoms among people of dark complexions especially African American women. These African American women who are disheartened fall in the ages between 18–98 years… cosmetic surgeries, laser treatments, dermatologists fail when it comes to natural dark colors. 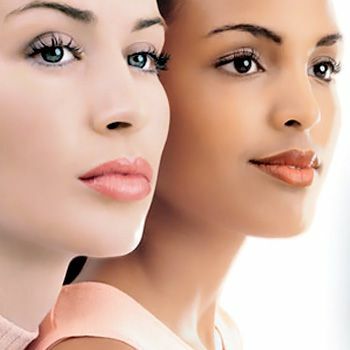 There are also behavioral studies which have verified the existence of skin complexion biasness that is the tendency to prefer light skin to dark skin. This has become a very big challenge for people of dark complexion all over the world, even if they deserve a respectable position in a reputable firm- they fail to. Acne includes blackheads, whiteheads and pimples to cysts. Severe acne can ultimately lead to scarring, marks and etc. Age spots occur when patches develop on the skin in dark color; this is also called hyper pigmentation. They are caused by sun exposure and genetics. These age spots can be dealt with the bleaching cream or bleaching agents, but larger age spots has to be treated with proper laser treatment. Age spots can be cured in the same way as a large freckle. Wrinkles appear in the places where the skin commonly fold and collapse. Complexion crisiscan take any form. It always deepens obviously become permanent. Over time, the wrinkles deepen and become more permanent. Genetics plays a large part in determining how wrinkled your complexion will become, as smoking, alcohol and sun exposure can lead to complexion crisis. The problem of complexion crisis has increased uncontrollably. Complexion crisis has been unfair with many people of different countries like the Africans, Nigerians, Somali and the natural color cannot be defied, its god given but unfortunately still people discriminate white color with black color. You can just make slight improvements to take care of your skin. Just the general precautions can be taken to keep your skin healthy and clean. 1. Use lemon juice and honey to lighten your skin. Alum is also a very good whitening agent. It has the ability to lessen the appearance of scars and lighten your complexion very quickly. You can apply it on your skin and leave it for 20min to get good results. 2. Mix the juice of ripe papaya and lemon. Out of all the natural whitening ingredients today, papaya and lemon are arguably the most effective. They work well in inhibiting the excessive production of melanin and making the skin look soft and dewy. 3. If your aim is to treat oily skin with dark skin, use almonds and yogurt mixture. You can apply this mixture every day for 15min to get excellent outcomes.